After a short stretch of episodes that felt mostly like a prelude to the incoming disaster, Legion finally moved the main thrust of its Season 2 plot forward by pushing David Haller and Amahl Farouk into direct conflict. Finally, David makes a vow to go after him head-on, but while the Shadow King pursues his own investigations, we eventually learn the true identity of the much worse villain lurking in the future that ends the world. No, it’s not Apocalypse or Thanos or any other really cool Marvel Easter egg. Even though it ultimately feels like kind of a let-down, you can’t help but admit how long this season has been building up to this revelation. All along, it seems like Amahl Farouk has been grooming David to become something just like him. We saw as much happen in one of the many timelines from last week with an alternate reality version of David embracing his powers to become corporate overlord over the world, working in concert with Amahl Farouk, who still clung to his psyche. So David definitely has evil somewhere within him, or at least Legion wants us to think so … for now. 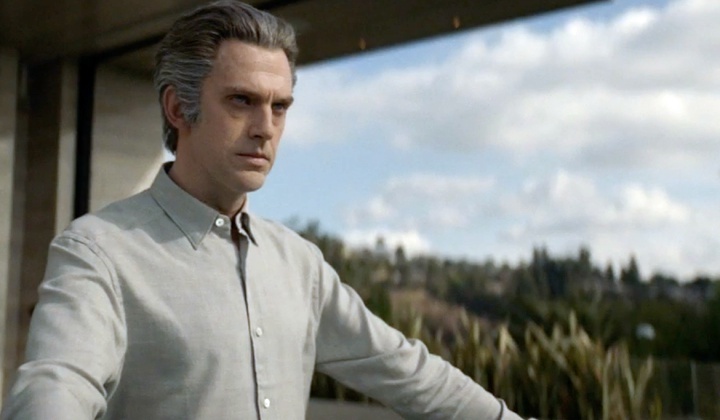 Somewhere in the future, David apparently becomes the real villain in this story on 'Legion'. Remember how the Monk basically referred to David as the “weapon”? And remember how Farouk is constantly referring to them both as gods? We got a reminder of that in a conversation early on this week, when David confronted Farouk, enraged after he just realized that the Shadow King killed his sister Amy. The growing conflict between Amahl Farouk and David Haller this season has reexamined the racial implications of Farouk’s initial confrontation with Charles Xavier. Farouk obviously fancies himself a king, but earlier this season he recontextualized Professor X as something of a white invader. In a pivotal scene this week, Farouk visited Future-Sydney and seemingly confirmed that she wants Farouk to live in the past so that he can defeat evil David in the future. “The villain is a hero and the hero is the villain,” he says. Considering David’s role in the comics, you couldn’t really call him a hero or even an anti-hero. He’s an overpowered problem for the rest of the universe because of his mental instability. If anything, you might as well just call him a villain. In a way, this feels like two steps backward on what has otherwise been a really enjoyable season. We spent all of Season 1 afraid that David was a crazy person that might destroy the world, so why aren’t we all ready to move past that yet?